$149.99 $199.99 Save 25% Lowest Price Guarantee! Place your order within the next 5 hours and 53 minutes and your order will ship out TODAY with FREE SHIPPING. This Marucci CAT 7 Senior League Baseball Bat is similar to that of the CAT 5 and CAT 6, only double the power! You are really going to scare some people if you come to the plate with this bat. Marucci has done a fantastic job of upping the ante from year to year and improving on an already masterful design. One of the main differences from last years CAT 6 to this CAT 7 is the new and improved AZ4X Alloy that dramatically improves durability and strength. Additionally, the optimized barrel design is more responsive and offers a sweet spot that is twice as large in comparison to the CAT 6. Through Marucci's engineer's extensive research and consultation with their player advisory board made up of big leaguers, they determined that one of the most common complaints among amateur baseball players is vibration in the hands. The brand-new AV2 Knob, also known as the second generation anti-vibration knob, offers a much better feel and remarkably less vibrational feedback in players' hands. Furthermore, the proven ring-free barrel technology continues to produce unmatched performance with absolutely no 'dead' spots. The combination of these new features results in a traditional, one-piece, all alloy, best balanced, most forgiving, sweetest feeling, and hardest hitting bat available. The Marucci CAT 7 Senior League Baseball Bat: MSBC75 features a -5 length to weight ratio, a 2 5/8 inch barrel diameter, and the USSSA 1.15 BPF certification. Also, Marucci is backing this monster of a bat with a full twelve (12) month manufacturer's warranty. Marucci: Honor The Game! Be the talk of the town and make sure to get your own CAT 7 today with fast, free shipping. Pros: WOW! My 12 yr old son's hitting is awesome.... This is the bat for this yr! Pros: This bat is amazing! The anti vibration handle works extremely well and the new alloy that marucci has used for this bat is very durable. I would highly recommend this bat for somebody who wants to hit the ball far. Pros: Amazing bat, great pop, and really travels off the bat well. Pros: lots of pop right out of the bag. have not used it long enough to test durability. Pros: bought a knob ring for my 12 year old. perfect fit. hand does not slide off the bat anymore. Pros: My son is 11years old 5 ft 130 lbs he wanted this bat . At first i was like 199 for a alloy bat wow . but then i saw him use it i was extremely impressed . He has had mako,xl1,combat maxum demarini cf8 and more none compare to this . extremely balanced feel tons of pop no sting at all . I have never seen ball exit speed so fast its scary as heck even with a L screen . he hit alot of homers last year this year will only be easier ... awesome grip, pop, so happy this bat feels like a Bentley and hits like a Bugatti. Pros: the pop is great , ball flys off the bat . grip feels like money .zero hand sting . stiff feel great foe power hitters . My 11 year old has 68 mph exit speed off a T with it cant wait to see what fence can hols him with this . Pros: best -5 bat in the market. Pros: My son plays 12U and saved his money for this bat. He absolutely loves it. Stepped up from drop 10 to drop 5 and you cant tell the difference in the bat speed. Great pop and huge sweet spot. Cant say enough. Pros: Has alot of pop and vibration. It help up great. Pros: A lot of pop, no vibration, excellent balance! Pros: Have a 30/25 Actually weighs 25oz on a postal scale Older son= 12 1/2 yo, 5' tall 100lbs lefty with good mechanics. Bat slightly short for his height, but trying to transition to -3 without messing up his swing. Says he likes it, no hand sting hits well with it. My perspective: no loss in bat speed compared to little league -10 Easton mako xl. Usually hits a few over the 210' majors fence in 50 batting practice hits. Longest about 225'. Younger son: 10 1/2 yo, 4' 8", 85 lb righty. More of a see it, hit it kind of kid. He can handle it, but will get heavy after 20-30 swings (swings a -10 in games). I feel like I'm rushing the -3 transition with my older son, so introducing a heavier bat in small doses earlier to my younger son. None over the fence yet, but hits solid, 190' with a bounce or two to the fence. . No complaints of hand sting. He has confidence with this bat. One bat, different goals for two different kids. Success x2. Both of my boys like it. Pros: good pop. nice transtion bat. Cons: still too new to find a down side. Pros: Hit with my new Cat 7 today that I got for Christmas, barely swung off the tee and you would have thought I was Giancarlo Stanton. Crazy pop, great bat, highly recommend. Cons: It's not baseball season. Pros: balanced... son says it feels good and has solid pop. Pros: Great Bat. Nice pop and has a great sound of the ball coming off the bat. Really durable and after 500 swings, no dents. Nice soft grip. Cons: Be sure to roll the bat during cage time. No other issues. Pros: My son loves his cat7 if you are looking for a aluminum bat this bat is the best. He's truly happy with this bat and won't swing anything else. Cons: You will want to go to the next size because the bat is balanced so well. It is the actual weight but will feel lighter during the swing. He would usually use a 25oz but the 27 felt the same, even to me. But we had it checked and it was a 27oz. I feel like it's the both end dampners that makes feel lighter during the swing. Pros: My son really likes this bat. The pop is great, and he has hit several homeruns with it. At first I was concerned that the bat would be too big. It does not appear he has lost any bat speed..
Cons: None at the moment, not sure how long the bat will last, but so far so good..
Pros: The anti-vibration knob works great, and feels pretty good. Cons: I have gone out and hit alot of balls with this bat, but even after hitting lots of balls with it the pop is like a war club! Maybe I just got a bad one, it still was not worth the $200. Pros: 2 5/8" bat is well made and resist denting. The bat is durable when compared to 2 3/4" models. 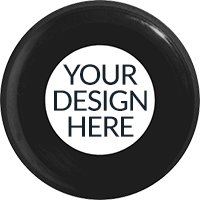 The AV2 knob works as described and reduces vibration. The bat has great pop. Cons: If you regrip the bat, it is difficult to recreate the tapered bat knob that Marucci provides. Cons: Bat developed a donut bulge in the barrel after two hitting secessions. Have a question about the Marucci CAT 7 Senior League Baseball Bat: MSBC75? Ask our team of experts and they will respond within 24 hours. Is the new material the CAT 7 is made out of make the bat have more pop? Or does it just make it more durable? Also, is the new handle model different from the CAT 6? The new 2017 Marucci CAT 7 Senior League Baseball Bat: MSBC75 will have a larger sweet spot compared to the CAT 6 model and the new AZ4X alloy, in combination with the optimized barrel design, will give the bat better durability and more pop. As for the handle, it will feature a slightly different grip tape but other than that it will be the same. The 2017 Marucci CAT 7 Senior League Baseball Bat (MSBC75) will be a fully aluminum bat and will not require any break in time. Is the Marucci CAT 7 -5 legal for play in Little League Junior Division? The 2017 Marucci CAT 7 Senior League Baseball Bat: MSBC75 meets the bat requirements for Junior League and therefore can be used for play. Is the Marucci CAT 7 -5 legal for play in Little League Intermediate (50-70) Division ? Yes, this 2017 Marucci CAT 7 Senior League Baseball Bat (MSBC75) will be legal for use in the Intermediate (50-70) Division of Little League Baseball. Is this bat approved for Babe Ruth? As long as you are not playing in the 16-18 division of Babe Ruth the 2017 Marucci CAT 7 Senior League Baseball Bat (MSBC75) is legal. I'm a 12 year old boy, 5'6", 160 lbs and will be going to the 60/90 field. What drop do you think I should use? I am currently using a -9 Voodoo 2015. What do you think I should use? Based on our Bat Coach we recommend going with a 32" 2017 Marucci CAT 7 Senior League Baseball Bat: MSBC75. Is this bat legal to use for Babe Ruth, 60/90 for a 13 year old? Yes, the 2017 Marucci CAT 7 Senior League Baseball Bat: MSBC75 is legal for use in the 13-15 year old division of Babe Ruth. It features a fully aluminum design and has the USSSA 1.15 BPF certification. I'm 12 years old, and 5'11" and weigh 137 lbs. Which size of this would be best? For a player of your size, I'd recommend getting the 2017 Marucci CAT 7 Senior League Baseball Bat: MSBC75 in the 32" 27 oz. size. Is there a break-in period on the 2017 Marucci CAT 7 Senior League Baseball Bat: MSBC75? The 2017 Marucci CAT 7 Senior League Baseball Bat (MSBC75) is an aluminum bat and will not need any break in period. This bat will be hot right out of the wrapper. My son is 13 and 5'2", weighs 107 pounds. What size bat do recommend? Based off of his current height and weight we recommend a 31" in the 2017 Marucci CAT 7 Senior League Baseball Bat: MSBC75. My son is 5'7" & 110 lbs. He will play 14U ball next year. What size bat do you recommend? Based on his height and weight we would recommend a 31"/26 ounce 2017 Marucci CAT 7 Senior League Baseball Bat (MSBC75). I play 14U travel baseball, does this bat follow the requirements? It would be best to double check with a coach or a league official, but the 2017 Marucci CAT 7 Senior League Baseball Bat: MSBC75 features the USSSA 1.15 BPF stamp, which should make it legal for play. My son is 14, 5'5", approx 125-130 lbs. What size bat would suit him best? Does not require BBCOR for another year. The 2017 Marucci CAT 7 Senior League Baseball Bat: MSBC75 in a 32 inch 27 oz option would be suitable for his size. What is the better bat to pick: the CAT 7 or the VELO? This 2017 Marucci CAT 7 Senior League Baseball Bat (MSBC75) is one-piece, all-alloy, balanced and it also receives great remarks from customers. The VELO is pretty solid as well. The biggest difference between the 2 bats is that the VELO will feature a composite end-cap to make the bat feel a little more balanced. Overall, either bat will be a great pick in my opinion. What is more balanced: the CAT 7 or the Omaha 517 bat? This 2017 Marucci CAT 7 Senior League Baseball Bat (MSBC75) and the Omaha 517 will feature a one-piece, all-alloy design. Due to that similar design, both bats are going to be very balanced and it will be hard to say that one of the bats is far and away the more balanced swinging bat. My son is about to be 12. He's been swinging a -10. Would a -5, be too much of a transition at one time (looking at a 30"/25 oz bat)? If so, which bats do you recommend? I think that your 12 year old should be able to make the transition to a -5 bat from a -10 bat. The 30"/25 oz size of bat should work for your player, but I would prepare for an adjustment period. If you wanted a bat that would provide less of an adjustment, I would look to the 2017 Marucci CAT 7 Senior League Baseball Bat (MSBYC78) that has a -8 length-to-weight ratio. You could get a 30"/22 oz size of that CAT 7. Is the CAT 7 end loaded? How does it compare to the Rawlings 5150 -5? The 2017 Marucci CAT 7 Senior League Baseball Bat: MSBC75 has a balanced swing weight. It is fairly comparable to the Rawlings 5150, as they are both one-piece alloy designs with balanced swing weights. However, The CAT 7 does feature an anti vibration knob to prevent sting and the AZ4X alloy provides the bat with a slightly bigger sweet spot. I'm 14 years old, 5'7" and 120 lbs. What would be the right size for me? Based on your height and weight, we suggest a 32" model of the 2017 Marucci CAT 7 Senior League Baseball Bat: MSBC75. Is this bat stamped with "approved for play in Pony baseball"? 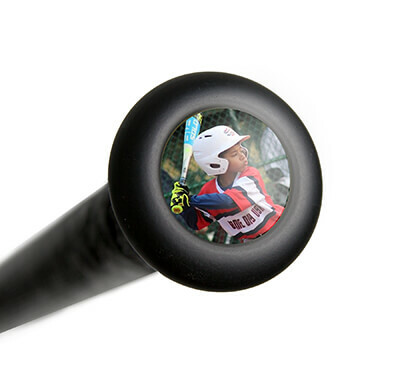 The only stamp on this bat is the USSSA certification and the BPF 1.15 certification. In most leagues the 1.15 BPF is enough for the bat to be legal, but you would have to check with the rules of your league to make sure that is the case. Does this bat weigh evenly throughout the barrel? The 2017 Marucci CAT 7 Senior League Baseball Bat: MSBC75 will have an even or balanced weight distribution throughout the barrel. How is the Alloy Hex compared to this? Which is better? Both the 2017 Marucci CAT 7 Senior League Baseball Bat: MSBC75 and the Hex Alloy feature the same alloy material. The Hex Alloy is a -10, whereas this is a -5. Is this bat right for my 13 year old who 5'4", 110 pounds? If so, what size do you suggest? He needs to move to a drop 5 from swinging a drop 10 in the fall. The 2017 Marucci CAT 7 Senior League Baseball Bat: MSBC75 would work well for your player. I would suggest the 31" 26 oz. size. Is this a BBCOR bat? Do BBCOR bats come with greater than drop 3? This is not a BBCOR bat because it is a -5. All BBCOR bats are -3. Is this bat all composite? The 2017 Marucci CAT 7 Senior League Baseball Bat: MSBC75 is a one piece alloy bat, so it is not composite. The 2017 Marucci CAT 7 Senior League Baseball Bat: MSBC75, and all other bats ordered, typically take 2-3 business days to be delivered with the free ground shipping option through UPS. My son is 13 yrs old, 5 ft tall and weighs 110 lbs. He is currently using a Mizuno Nighthawk 30"/20 oz. What size in this bat would you recommend for him? Based upon your player's height and weight, I would recommend looking for this 2017 Marucci CAT 7 Senior League Baseball Bat (MSBC75) in the 30" length as long as you can handle the 25 oz weight. What's the difference between the senior league and junior league model? My son is 13, which does he need? For a player that is 13, one would need a Senior League bat like the 2017 Marucci CAT 7 Senior League Baseball Bat: MSBC75. 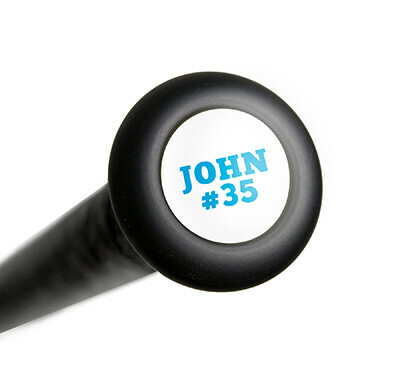 A Junior Big Barrel bat is designed for coach pitch leagues with velocity under 35 MPH. These bats have thinner barrel walls and will break rather quickly if used by older players seeing pitching faster than 35 MPH. My son is 12 years old and 5'4" and 150 lbs. What size would you recommend? We would get the 2017 Marucci CAT 7 Senior League Baseball Bat: MSBC75 in a 31 model based on your son's height and weight. For his age, typically a -10 or -8 bat would suit him better. My son is 13, about 5 foot and 95 lbs. He currently swings a drop 8 COMBAT but will need to move to drop 5 for next fall to prepare for 14u next spring. He is a lead off hitter, more contact hitter but can also hit bigger at times. What size bat would you recommend for his size? Based on your player's height and weight, I would suggest the 2017 Marucci CAT 7 Senior League Baseball Bat: MSBC75 in a 30" length. My son is pretty strong and a power hitter. He is 13, 5'7" and 160 pounds. What size would you recommend for him? Based on his height and weight, we suggest a 32" model of the 2017 Marucci CAT 7 Senior League Baseball Bat: MSBC75. My son is 13 and was using a MAKO big barrel size 30 inch 20 oz. Will this bat be too heavy for him? The 2017 Marucci CAT 7 Senior League Baseball Bat: MSBC75 is a well balanced bat, but will be quite a bit heavier overall than the 20 oz. bat he was swinging. If you needed to move to a -5 bat, this would be one of the easier bats to swing. Is this bat USABat certified for the 2018 Pony league season? This 2017 Marucci CAT 7 Senior League Baseball Bat (MSBC75) will not have the USABat Certification on it and will not be permitted for use in Pony Baseball in the 2018 season. My son has the -8 version of this bat and looking at the -5. But it looks like the handle on the -5 is wider near the knob. Is this right? The -8 handle is same width throughout. Can you confirm? You are correct. The handle on this 2017 Marucci CAT 7 Senior League Baseball Bat (MSBC75) will taper into the knob (i.e. get thicker). The -8 version of the CAT 7 will not have a handle that tapers into the knob. Know this does not have the USABat stamp, but do you know if this drop 5 bat will be legal for play in the 13-15 age division of Babe Ruth for 2018 league year? The 2017 Marucci CAT 7 Senior League Baseball Bat: MSBC75 will not be approved for Babe Ruth play in 2018 as only bats featuring the USABat stamp will be eligible. These bats will have thicker barrels walls than the current models of the 2017 Marucci CAT 7 Senior League Baseball Bat: MSBC75 and thus will have reduce performance capabilities. Can this bat be used in middle school? Not really sure of the rules concerning bats. Depending on what league you play in will determine if the 2017 Marucci CAT 7 Senior League Baseball Bat: MSBC75 is going to be legal. I would check with a coach or league official to see what the bat rules are in your league. My child is 13 and is 5'6" 150 lbs. What size Cat 7 would you suggest? Based on your players height and weight, we suggest a 32" model of the 2017 Marucci CAT 7 Senior League Baseball Bat: MSBC75. My son is 13, and will play 13u in the fall and next spring. He is currently 6-1, 180 pounds. The league rules allow a drop 10, but with his size and strength, we are looking at a drop 5. What size would you recommend for him? We suggest swing the heaviest bat you can consistently control with great bats speed, so a -5 would be the way to go, in my opinion, based on his size. I would suggest the 2017 Marucci CAT 7 Senior League Baseball Bat: MSBC75 in the 32" 27 ounce size. My son is starting a 11u league this year. What bat do you suggest? 5 ft 4 and 95 lbs. I would recommend a 31'' 21 oz. If you are not using the USA rules I would recommend the 2017 Marucci CAT 7 Senior League Baseball Bat: MSBC75. Is the BBCOR only for the -3 and not the CAT 7 -5 bat? The BBCOR bats are used for the USA rules and are a -3 bat. Does the CAT 7 -5 meet the USA Baseball standards? If so, is the marking on the bat? The 2017 Marucci CAT 7 Senior League Baseball Bat: MSBC75 does not meet the USA Baseball standards for 2018. USA approved bats will not be available until September. What size would you recommend for a 5'6" 125 lb 13 year old? Based on the players height and weight, I would suggest a 32" model of the 2017 Marucci CAT 7 Senior League Baseball Bat: MSBC75. What size bat (-5) would you recommend for my son - 5'2" 100# ? Based on your height and weight we would recommend a 31"/26 ounce 2017 Marucci CAT 7 Senior League Baseball Bat (MSBC75). I"m turning 13 and 4"11' and 85 lbs. I want to get the Cat 7 but can"t decide if I should get a -5 or -8. What should I get? Based on your height and weight, we suggest a 30" model. The drop weight is tough to suggest, as it really depends on your bat speed and strength. However, you have to use a -3 for high school and typically it is best for a 13 year old to swing a -5 like the 2017 Marucci CAT 7 Senior League Baseball Bat: MSBC75 if they can. I am 12, 5'4", 115 lbs, and reasonably strong. What length and weight would you recommend for a 2 5/8" USSSA bat? Based upon your height and weight, I would recommend looking to a -5 bat in the 31" length as long as you can handle the subsequent 26 oz weight. This 2017 Marucci CAT 7 Senior League Baseball Bat (MSBC75) is probably the top-rated -5 baseball bat we are carrying at JustBats. If you wanted another solid -5 model to consider from Marucci, you could also look to the 2017 Marucci Hex Connect -5 Senior League Baseball Bat (MSBHCY5). That Hex Connect line of bats has been rated well overall and if you wanted a two-piece, all-composite bat with a -5 size to consider, that would be a good one to view. Can I hit total control balls with it without damaging it? If you are referring to the weighted baseballs, over time they will shorten the lifespan of the bat and lead to a higher risk of durability issues due to the heavier weight. The bats are designed to hit standard baseballs, so anything heavier will shorten the lifespan. My son is 5'7" and 116 lbs. He is 13 and in the 7th grade but plays on a 14u club team. Do I go with the bat coach suggested 31" length or plan for growth and go up to a 32"? Based on your sons height and weight we would recommend a 31"/28 ounce 2017 Marucci CAT 7 Senior League Baseball Bat: MSBC75. The 2017 Marucci CAT 7 Senior League Baseball Bat: MSBC75 is a balanced bat. My 14 yr. old grandson really likes your CAT 7 bat but we are struggling with size. He is 5 ft 10 in about 145 lbs and growing like crazy. We would prefer a drop 3. Based on your player's current height and weight, I would suggest a 32" 2017 Marucci CAT 7 BBCOR Baseball Bat: MCBC7. However, if you think he may grow quite a bit in the near future, I would suggest going with a 33" 2017 Marucci CAT 7 BBCOR Baseball Bat: MCBC7. My son is 12, 5"5' and 107 lbs. He has been using a 30" -8 for the last 2 years and swings with plenty of bat speed. I am considering buying him this bat in -5. What are your thoughts on length? I was thinking possibly a 31", but don"t want him to lose a bunch of bat speed by jumping to the 26 oz. Based on your player's height and weight, I would suggest a 31" 2017 Marucci CAT 7 Senior League Baseball Bat: MSBC75. I don't think a 30" would provide enough coverage for his size, and the Cat 7 is well balanced, so I don't think he will have much trouble transitioning to a 31/26. Is this bat usable for USSSA leagues and tournaments? Yes, the 2017 Marucci CAT 7 Senior League Baseball Bat (MSBC75) is USSSA approved and will be allowed for both leagues and tournaments. What is the difference between the CAT 7 and the CAT 7 Connect? The difference between the 2017 Marucci CAT 7 Senior League Baseball Bat: MSBC75 and the CAT 7 Connect is the one-piece all alloy design versus the two-piece hybrid design of the CAT 7 Connect. Both bats feature the same alloy barrels but the CAT 7 Connect will be more end-loaded in swing weight design, feature a composite handle and will be better able to reduce vibration from an off-centered hit. Which is the better cooler weather bat, the CAT 7 or the CAT 7 Connect? Because of the alloy construction of the 2017 Marucci CAT 7 Senior League Baseball Bat: MSBC75 I would go with the hybrid two piece construction of the 2017 Marucci CAT 7 Connect -5 Senior League Baseball Bat: MSBCC75. My son is 11, about 5'0", 112 lbs. The last two seasons he batted with a DeMarini 29"/20 oz -9. Thinking about changing him to a 31/26 -5 CAT 7. What size bat would you recommend for his size? We would suggest a 30" length for his size and weight. What's the difference between -5 bats and -3 bats? The drop weight is determined by subtracting the length in inches by the weight in ounces. Therefore, considering bats of the same length, the -5 bat will be 2oz. lighter than the -3 bat. However, all -3 bats will be BBCOR certified and would have a lower performance threshold than a USSSA bat like this 2017 Marucci CAT 7 Senior League Baseball Bat: MSBC75. My son is 13u, 5'0" and 88 lbs. Looking for a new big barrel bat. I'm thinking 30" -5 or -8. He's a good contact hitter. What do you suggest? Based on your son's height and weight I would recommend a 30"/25 ounce 2017 Marucci CAT 7 Senior League Baseball Bat: MSBC75. Does Marucci make a -5 31' CAT 6 or CAT 7 certified to USA? Marucci does not make any USA bats currently. They only make USSSA youth models like the 2017 Marucci CAT 7 Senior League Baseball Bat: MSBC75. My son is 12 years old, 5'9" 225 lbs. and hits it out of high school ballparks already, should he be using a 33/30 or 32/27? Senior league, or USSSA bats, are allowed to perform at a higher level than BBCOR certified bats, so I would suggest swinging a 32/27 2017 Marucci CAT 7 Senior League Baseball Bat: MSBC75 until he is required to make the switch to the -3 BBCOR bats. My son(13)is 5'4'' 115, what bat is best for his size? Based on your sons height and weight we would recommend a 31"/26 ounce 2017 Marucci CAT 7 Senior League Baseball Bat: MSBC75. No, "Senior League" is a term used to describe a USSSA certified bat for kid pitch below the high school level. Look for the term "BBCOR" in the title of a bat to indicate that certification. All BBCOR bats are a -3 drop. What is the biggest difference between the Cat 7 MSBC75 and the Cat 6 MSBC65? Marucci introduced a new alloy for their bats when they made the Cat 7 that isn't used in the Cat 6, so that is the biggest difference. I do not see the BPF 1.15 stamped on the bat based on the pictures I see. Where is the stamp? The USSSA 1.15 BPF Stamp on the 2017 Marucci CAT 7 Senior League Baseball Bat: MSBC75 is located on the middle of the bat right above the grip. If you take a look at the 4th picture listed on the website you can see that stamp. Is the CAT 7 an end-loaded bat or is it balanced? The 2017 Marucci CAT 7 Senior League Baseball Bat (MSBC75) will feature a balanced swing weight. Is the -5 significantly different from the -8? I"m 5"4" tall and 110 pounds. Can you feel the difference? Yes, most players will be able to feel the 3 oz difference when going form a -8 to a -5. It affects some players more than others however. Does this bat come in a 2 3/4in? Yes, if you are wanting that version, check out the 2018 Marucci CAT 7 -10 Senior League Baseball Bat: MSBC7X10.